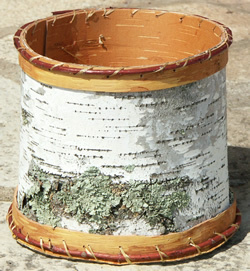 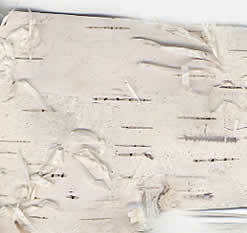 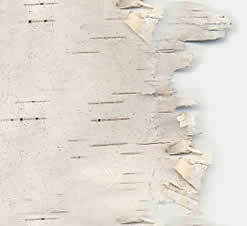 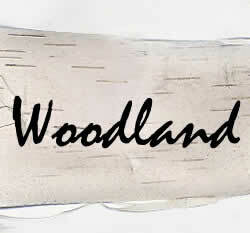 Sturdy Round Ojibwe Birchbark Basket; White paper birch with natural lichen trimmed with red willow and sewn with basswood roots; Diameter, 8 3/4"; Height, 8 1/4". 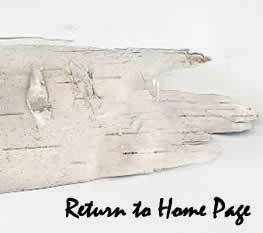 Large Ojibwe Rice Basket; Birchbark with basswood lacing; Length, 20", Width, 14", Depth, 4"
Beautiful Ojibwe white birchbark wall sconce; Basswood root stitching; Perfect for displaying dried flower arrangements; Length, 14", Width, 6". 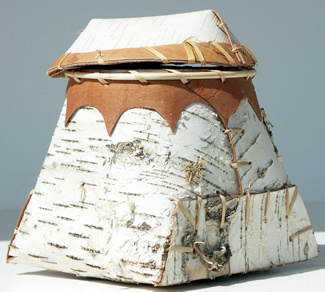 Ojibwe natural birchbark basket; perfect for holding fruit; White paper birch exterior trimmed with natural birch and willow; sewn with basswood root. 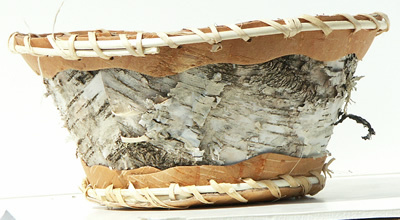 Diameter, 11", Height 6".